Work — Nourishment for the Soul? I just finished another chapter of the book I’ve been reading for my morning devotional, Awake My Soul, by Timothy Jones. He poses an interesting question — Can work not only feed the body, but nourish the soul? It’s a chapter about the idea of vocation, or calling. Martin Luther, of course, argued that not only priests and nuns, but milkmaids, blacksmiths and housewives shared in God’s work in the world. The work we do becomes holy if reverently approached. 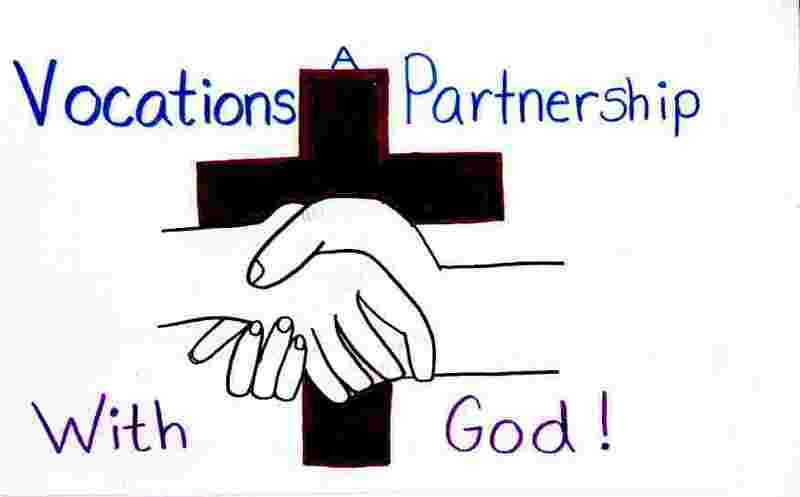 Our work can serve others and influence others for Christ. Just recently I was talking to a friend about her Via de Cristo retreat (I was the leader of her weekend). I shared with her how I felt that God had called me to train the team for that retreat, and she said, “Joan, you trained the team just for me.” One of the big surprises that happened for my friend, was an opportunity to reconnect with another woman named Karen, someone she hadn’t seen since she was a girl. Karen became Beth Ann’s spiritual mentor for a time. I knew Karen through my workplace; I was working at a job I was not eager to take, yet it led to an amazing experience for somebody else. No doubt there were other plans of God at work that I’ll never even know about. It wasn’t where I wanted to be, but it was where I needed to be, and where God placed me at that time. Knowing that has nourished my soul. Often we are called to do what we enjoy, even if it involves financial sacrifice. After retirement, I started work for the local library, only to find myself feeling unsettled. I liked the job; I like the people, so what was the problem? I just had the continual, nagging feeling that it was taking me away from what God wanted me to do. So I quit and now find myself blogging and working as a volunteer for my church. These activities have fed my soul, and maybe to the souls of a few others. Of course, it’s a constant challenge to discern God’s will, and we’ll make wrong turns. We won’t always get it right. We must pray, ask advice from Godly friends, and pay attention to our circumstances and how God is using our gifts and talents. I admit this is not easy for me. I like to be prepared for the worst (or at least fool myself into believing I’m prepared). However, Jones is right. It can be exhausting trying to imagine and provide for every potential problem; it’s probably not even possible. How much easier to simply (no pun intended) trust God and do our best day by day. I try to work on that, but often fail. Here are some words of advice on simplification from Richard Foster’s book, Celebration of Discipline. First, buy things for their usefulness rather than their status ….Stop trying to impress people with your clothes and impress them with your life. ..
Second, reject anything that is producing an addiction in you. Learn to distinguish between a real psychological need, like cheerful surroundings, and an addiction. …(he says if you find you cannot live without something such as particular foods or technology get rid of it). Third, develop a habit of giving things away. If you find that you are becoming attached to some possession, consider giving it to someone who needs it. Sounds pretty scary and drastic doesn’t it. What it boils down to is stop worrying about how to impress others, avoid the things that tend to control you, and be generous. I know even I can take baby steps in trying to do this. What about you? Can you simplify your life so that it becomes more satisfying? We all have things that feed us spiritually. Certainly hearing and studying Gods’ word, attending worship services, and Holy Communion are our regular spiritual meals, the balanced diet we cannot live without. However, as uniquely created individuals, we all have our “food” preferences, maybe stemming from our own interests and talents, maybe inherited or gained through experience. So what’s your favorite spiritual food? 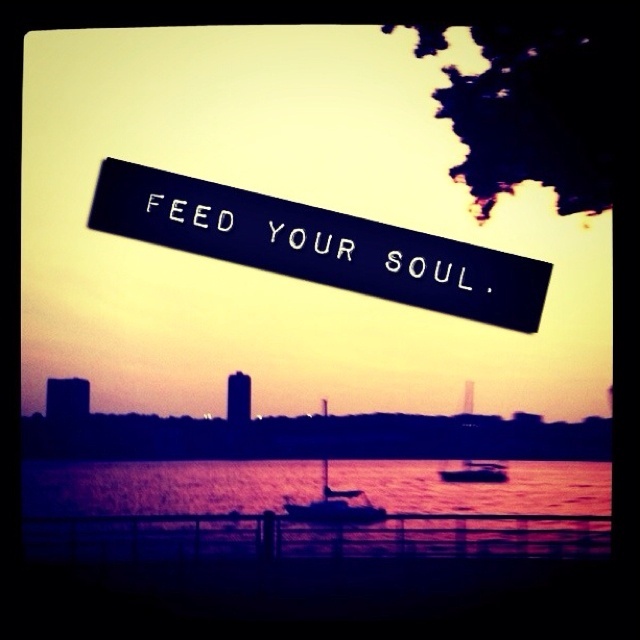 What nourishes your soul? I remember a friend who told me, “I feel closest to God when I’m singing.” Many people may identify with that. Others get a spiritual charge from creativity — making a banner, decorating the church, designing a beautiful bulletin board or using carpentry skills to build a new altar or pulpit. Some love to serve — they enjoy children, or nursing home residents or fellowship dinners. My friend Nancy, and also my husband, love to teach. They get excited to see how even those who know the gospel story well, can learn and grow in His Word. For me, it’s reading and writing. I feel God speaking to me in all that I read and I feel Him speaking through me as I write. The point is, we are fed by what God does for us; we are also fed by what we do for God. He doesn’t need the things we give Him, but we need to give them. He made us to love Him and to give back to Him. So what is it for you? That’s my question to our writers and readers. I’d like to hear your thoughts. I am posting this blog for my Christian sister, Barbara, who has run into problems logging into the blog. She has a poignant story to tell us about her sister, Shirley, who can no longer swallow food. In November 2010 my sister Shirley had a hemorrhagic stroke which paralyzed her esophagus and rendered her ability to swallow, a coveted gift that others regard only as a normal, involuntary bodily function. Once the social butterfly with more friends than most people will ever know, Shirley now finds herself living in a senior complex, alone and seemingly forgotten., The members of her long time bridge club shun her participation in the game since even her saliva has to be deposited in a cup, sometimes followed by drool. Over time, the woman who hosted parties, had droves of people enjoying the warm hospitality of her home and swimming pool, and who always seemed available to those in need, finds herself without as much as a visit from the friends and even family members she loved and cared for. To make matters worse, her son and daughter-in-law live five states away, and her daughter has taken a sudden new interest in her birth mother. Did I mention that both her children were adopted and that her husband, whom she had been caring for, died while parked in a wheelchair next to her bed while she was recuperating from the stroke. As I write, my heart aches for my sister. Due to cataracts and other health issues on the part of my husband and myself, the ninety miles that separate us might just as well be a thousand if one wants to consider daily, or even weekly visits. Thanksgiving is coming, and though I want so badly to bring her to my home, my family wants to protect me from the extra responsibilities due to my age, the involvement with feeding tubes and general health care as I prepare the Thanksgiving meal. If one were to think about it, our lives revolve around eating as we socialize with those at the table. At this point you must wonder how my sister copes; one who never even wanted to lie on the beach because she viewed it as boring and limiting in her ability to live life more meaningfully. I can tell you that Shirley is one of the most positive and amazing people I have ever met. Once so sure that God would restore her esophagus, she now accepts the prognosis of the doctors who’ve told her, “It’s not going to happen!” She will tell you that she does not feel alone in her quiet apartment and knows that the Lord has a reason for this new chapter in her life. She will tell you that she has learned patience, a virtue she never practiced or sought to attain. She keeps regular company with God and spends time praying for the well-being of others. She is a kinder, more complacent person who desires more to have spiritual food than that which the world cannot give. In John 6:35, Jesus declares, “I am the bread of life. He who comes to me will never go hungry, and he who believes in me will never be thirsty.” The feeding tubes which go directly into my sister’s stomach sustain her physical life, but the spiritual food and water she now seeks does far more for her soul. She is seeking Jesus who will and is filling the void left by the world. Now experiencing visual problems, Shirley has ordered an audio of the Bible, something that would never have occurred to her before the stroke. Though we often, in fact most always, misunderstand God’s allowing things to go awry in our lives, we eventually learn that His plan is always the better plan. When He draws us to our knees and opens our hearts and minds to an understanding of His indescribable love for us, through His death on the cross, we are feasted with blessings the world cannot understand. Though I wouldn’t wish Shirley’s condition on anyone, I can rejoice in knowing that today, this very day, she is walking on a path toward a personal relationship with Jesus. Though she still has many questions in my conversations with her, I pray daily that the Holy Spirit with enlighten her with His gifts. I pray that the long famine in her life without spiritual food and water will end and find her feasting on the living Lord Jesus Christ as she someday meets the ever satisfying true Bread of Life with whom she will spend eternity! Today is the day that we all sit down with family and eat and eat and eat. While we’re doing that I have a few things that I’d like all of us to think about. Part of this month’s theme has gluttony in it. Gluttony is usually associated with food, but let’s take it to the next level. Thanksgiving is all about being thankful for what we have. Gluttony is the opposite of that. Webster defines is as “greedy or excessive indulgence”. So why talk about this on Thanksgiving? We, as a people, need to learn to be thankful for what we have and be content. The marketing companies in this country are always about having more, or better. We find ourselves wanting more. I’ve been there. We were pretty poor, on Food Stamps and Assistance. One year the local church came with a box of food, a turkey with all the trimmings. Needless to say, I cried, and I felt so humble. Here I was feeling bitter because we couldn’t afford the whole meal and the Lord stepped in and had these wonderful people bring it to me. Yes, I was very thankful that year. But I still wanted more out of life. I wanted the house, the car, the job… all the things that this world tells us we must have. Didn’t matter that we had a roof over our heads, food to eat and a vehicle to drive. I wanted better. I won’t go into how the Lord brought me to where I am today, but let’s just say that life has never been easy for me. Through all these years I’ve learned to be content. Content with what I have, which is more than what many others have. I have a wonderful family, a roof over my head, food to eat and a loving church family. What more could I want? Since I blogged about table prayers on a previous post, I thought I would include this prayer we sing before meals at our Vineyard Via de Cristo retreat weekends. Once again, we are inviting Jesus to take part in the meal with us.